We offer a variety of alternatives for individual travel in Sri Lanka. All of our programs have been created and are operated by our experience staff and offices throughout the region. All of our trips are privately guided by local English-speaking guides. Most of our program are flexible and operate at two levels of accommodation in to better serve the individual traveler's schedule and budget. Whether you want to Scuba dive in exotic ocean waters, treat your body to the revitalizing powers of ayurveda, or sun bathe on palm fringed beaches Sri Lanka is the place to be. It is a land of cloud draped mountains surrounded by miles of sun kissed beaches. A land of torch lit processions on full-moon nights. It is a land with a heritage that is over 2 millennia old and a land with the hospitality of warm, friendly people. Adventure Silk Road Inc offers individual tailor-made itineraries for the discerning traveller who values privacy, adventure, fantasy and above all a truly authentic Sri Lanka holiday. We are a small company and pay meticulous attention to detail. 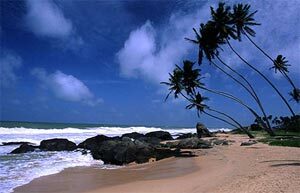 From the very first email till the time your board your flight back home we will ensure a memorable Sri Lankan Holiday. While in Sri Lanka we are at your service 24 hrs of the day to make your holiday with us an experience of a lifetime. We have earned our name with many of our guests for providing superior service and attention to detail. Most of our guests have left our shores as friends and not as clients. In fact many of our clients still keep in touch with us. Therefore it is no suprise that most of our business is from repeat visitors and through recommendations. Well yes, but only if you have the right people to show you how to make the most of this amazing island.Who better than the people who have specialized in travel for over 23 years - Adventure Silk Road Inc.
Leave everything to us. We offer tour packages to suit anybody from the exploring adventurer to the relaxation-seeking nature-lover. Or if you would rather, we offer customized tours. You pick the places, the dates, the duration but we take care of all the cumbersome planning.